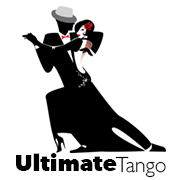 Blue Tango offers tango classes and workshops taught by Hsueh-tze Lee and guest instructors in the Boston area. For information on group and private lessons, write to hsueh-tze@bluetango.org, or call 617-393-3772. Pamela and Steve Slavsky teach classes and private lessons at various Boston area locations. For more information, contact Pamela at 508-561-1827 or Steve at 508-561-0844. AnaLinda teaches small semi-private groups and private lessons in the South End and Cambridge. For more information, contact analindamarcus@hotmail.com at 617-512-0430. 16 Bow Street (Union Square), Somerville. Classes and workshops in the Boston area. 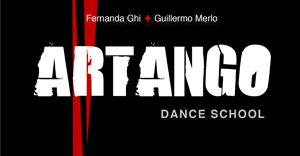 For more information, contact simonida@tangoaffair.com at 617-497-5568. Also, Simonida teaches the intermediate lesson at Vida Mia on the 4th Friday of the month. Mondays, Oct. 1-29, 2018 (5 weeks) at MIT, Room 156, in Building 36 at MIT, 50 Vassar Street, Cambridge. Workshops with Javier Rochwarger, on Mondays, April 2-30, 2018 (5 weeks), in Room 156 of Building 36 at MIT, 50 Vassar Street, Cambridge. Massachusetts Institute of Technology campus, Cambridge. Unless otherwise specified, classes are held in room 156 of Building 36. Register online. For more information, contact tango@mit.edu. North Shore Tango Practica, in the Brickhouse Cardio Club, at the Museum Place Mall, 1 Church Street, #125, Salem. .
For more information, contact Hannah. Group classes, Boot Camps, milongas, wedding dances, private classes, Marathons and Festivals at multiple locations. For information, write to Alla at Allalakov1@gmail.com or call 978-314-4155. At Champions Dance Studio, 165 Chelsea Street, Everett. For more information, contact Seyyide at seyyidedancer@gmail.com or call 774-473-99785 . Tango lessons and monthly dance socials on campus throughout the year in the Shapiro Campus Center at Brandeis University. Note: This website is updated fairly regularly; however schedules do change and plans can get changed or cancelled. Neither this website nor its webmaster is responsible for any errors, cancellations or changes in venue specifics, such as time or location. Always check with the dance promoter to confirm their information.